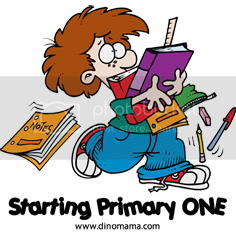 As usual, DinoBoy had the test and this mummy did nothing to prep him, leaving him to strive for himself and for student care to drill them on the chapters. I know, I know, I'm not a good Mum but Maths is not my strong subject and I'm bad at coaching schoolwork, plus its bad for my health since it will make my blood pressure to shoot up (can you hear the weakness in those excuses?). Anyway, the Student Care is doing a wonderful job in preparing the students for the test, I am grateful for their level of involvement in the student's school work. 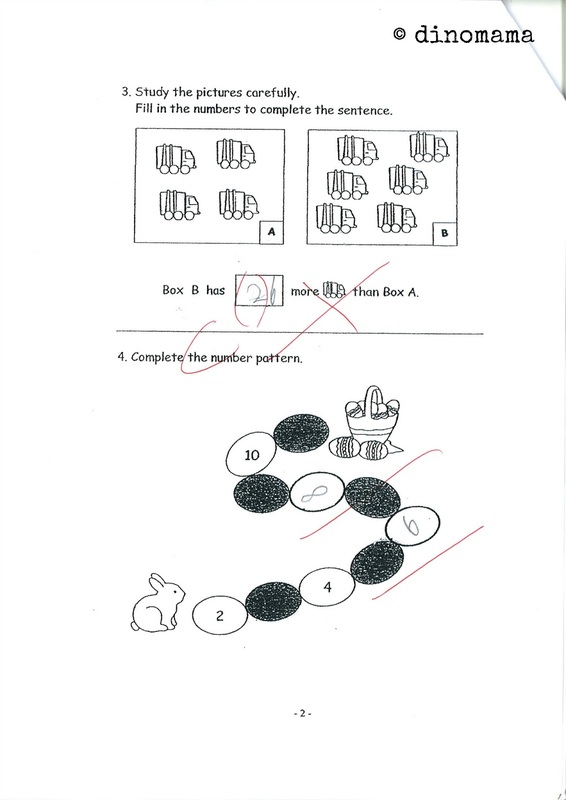 Besides not having to worry too much about DinoBoy's academic results, it also means that I am able to do other interesting, fun educational stuffs with him at home. 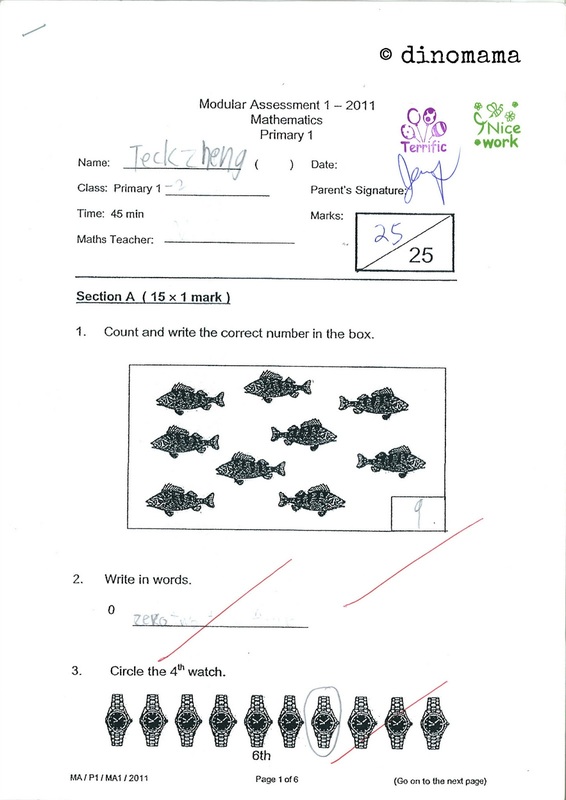 Frankly I'd rather not put too much pressure on my 7 year old lest he starts to detest or get stressed due to examinations. 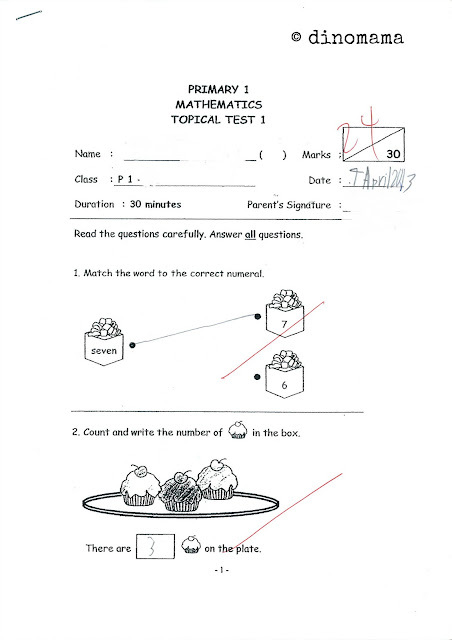 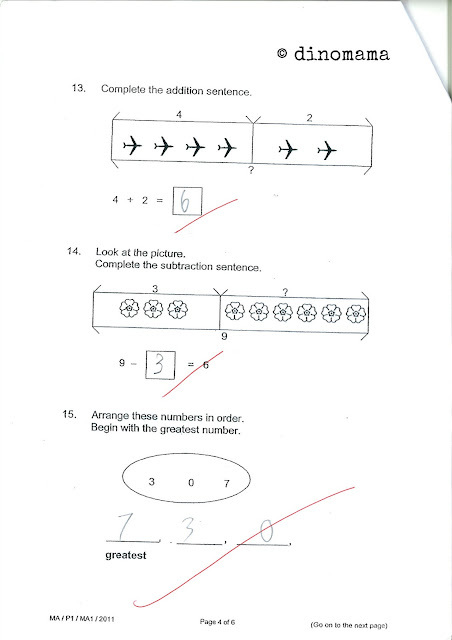 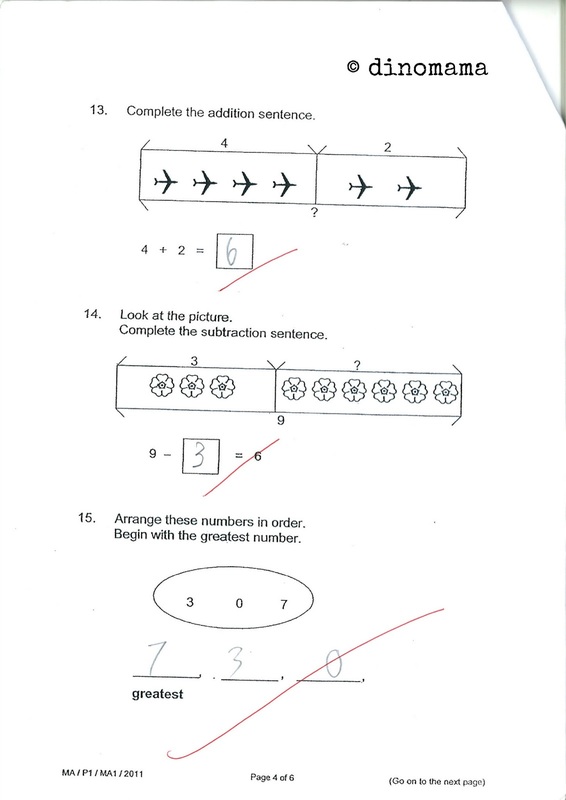 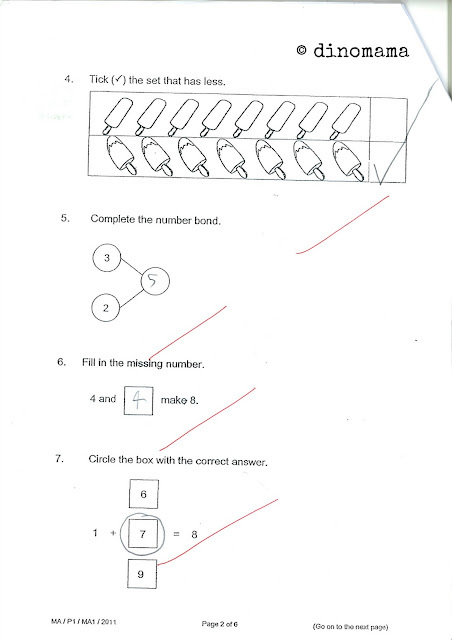 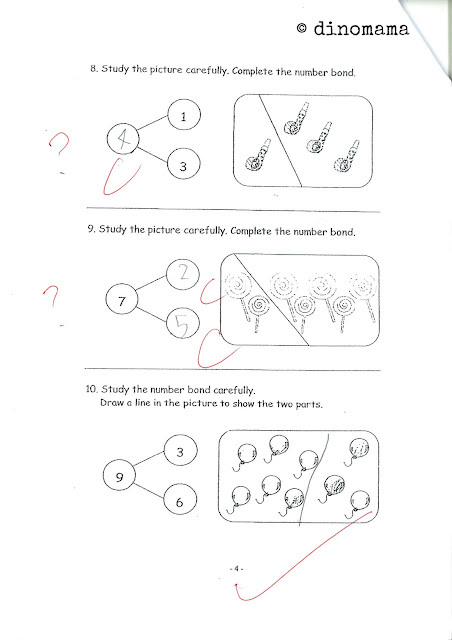 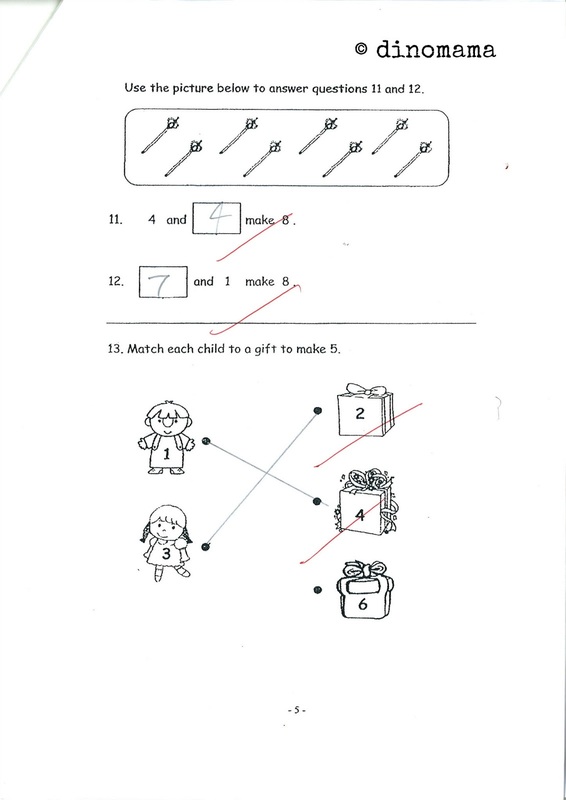 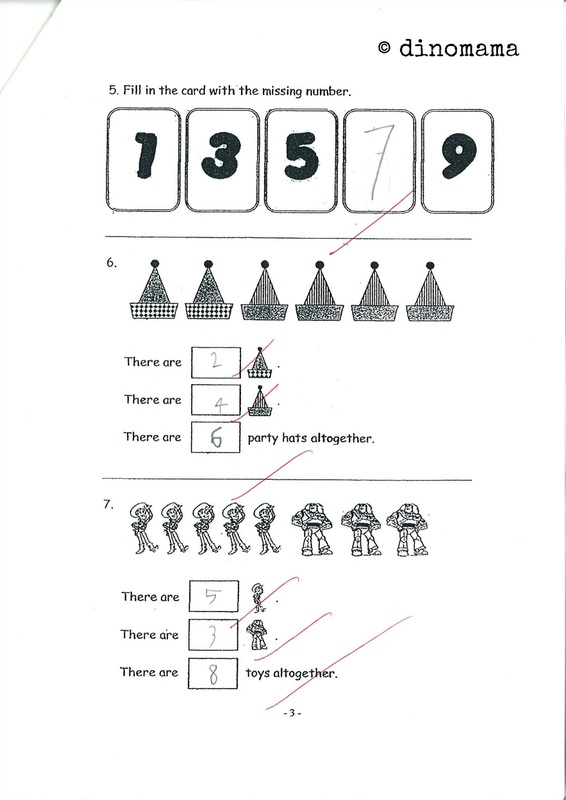 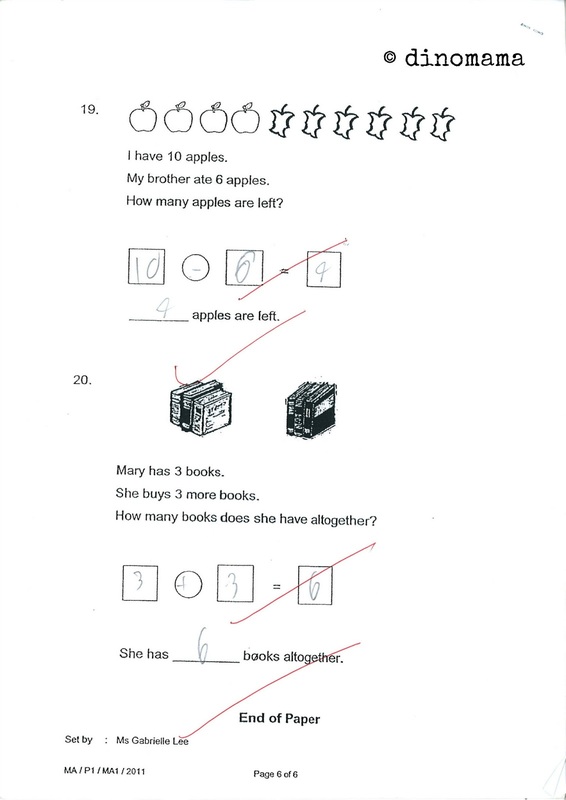 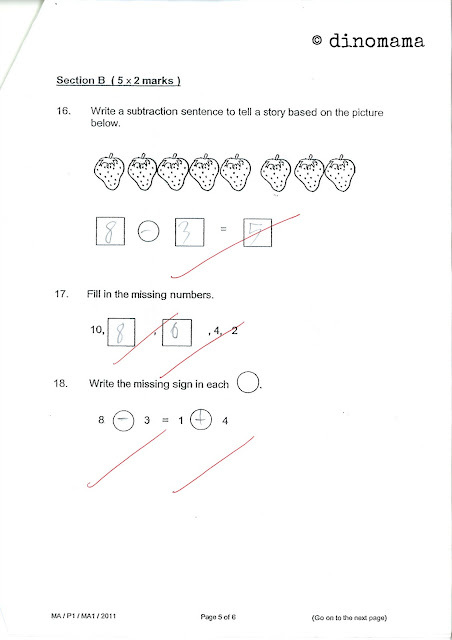 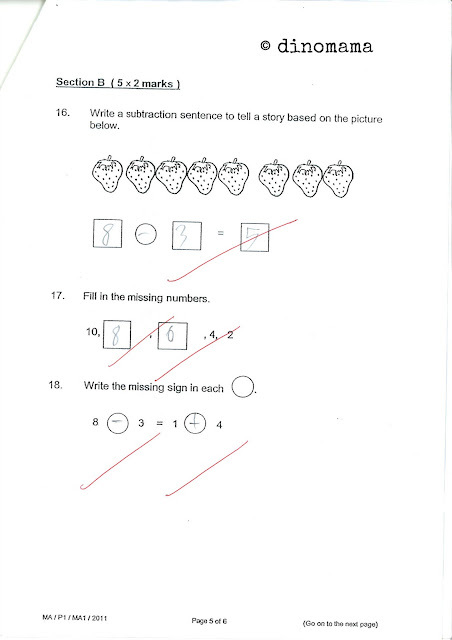 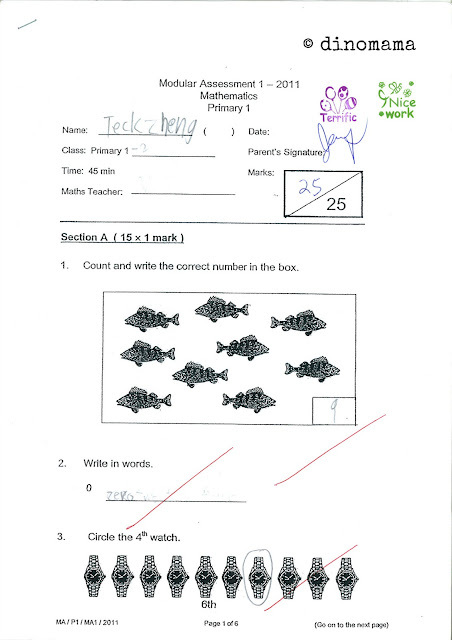 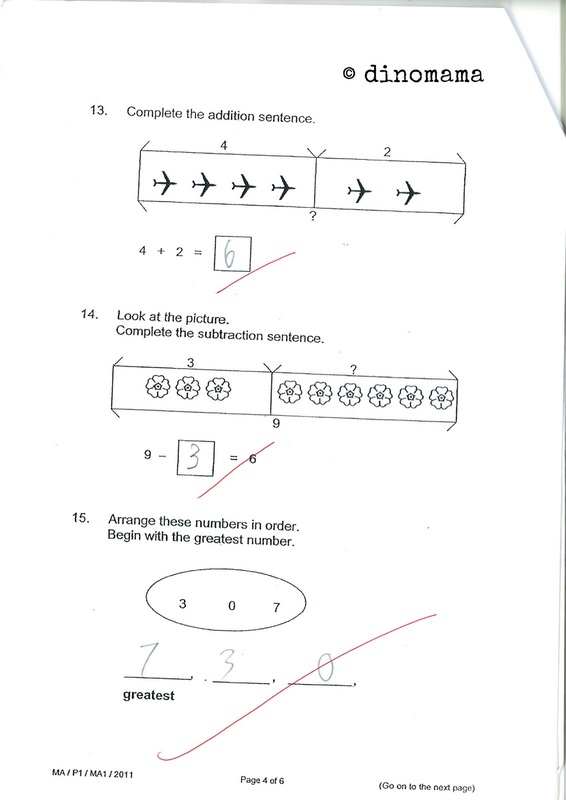 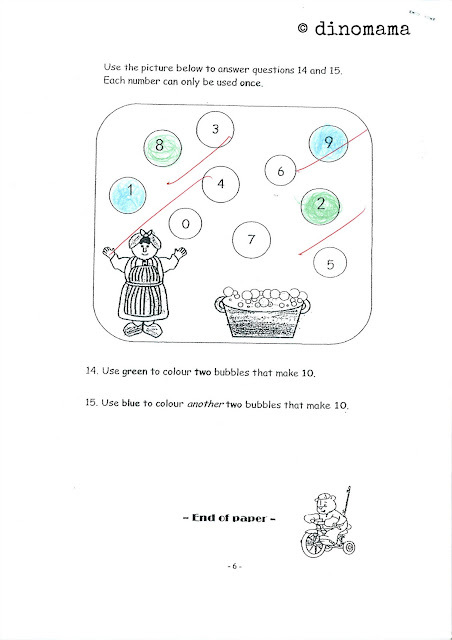 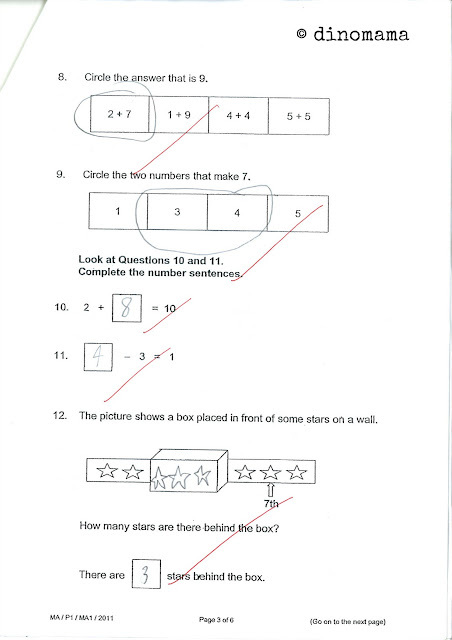 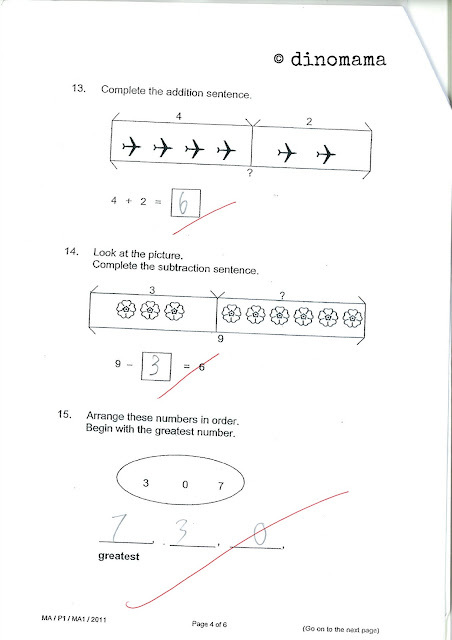 I have no idea how he fared in Modular Test 1, I MAY have put my beautiful name on it without knowing that its the test paper (ok epic failure by me on this part), too late now as the test paper is with the teacher, I can only hope that he did well. 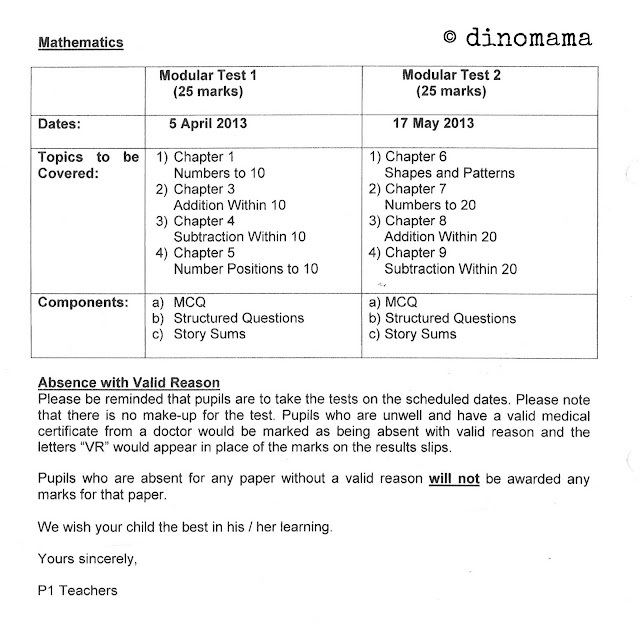 Anyway Mathematics Modular Test 2 will be in next month, I will take note of every worksheets or paper I will be signing so that I will not miss it out again.